← The Theosophical Society, Adyar, Madras. I suspect that what Lin had in mind was “being blind to things and events around us” to write about when she suggested this topic for the weekly Friday Loose Bloggers Consortium. I however will write about four people who came into my life two of whom are still very much part of it. And each in his/her own way have been very inspiring. One of them totally blind from birth, but who has fought to lead a reasonably independent life, one who is no more, whose eyesight deteriorated before me in just under a decade due to Macular Degeneration, and two others who have very limited vision but who still are big fighters. I shall write about them in the chronological order in which they came into my life. The first was Subhash a completely blind young man who was studying to complete his Bachelor’s Degree in Bombay during the time that Urmeela and I were alone there with Ranjan in boarding school. A family friend very active in social work requested Urmeela to be a reader for Subhash for subjects for which braille books were not available, and Subhash came into our lives. He would come every afternoon for three hours of work with Urmeela and often when I returned from work, he would still be at it. He graduated successfully and got employed in a bank as a telephone operator before we left Bombay for Bangalore. He was all the time in touch with Urmeela and would keep her informed about all that was happening to him. He got married and is now a proud father to two young boys and has settled comfortably in his life with a remarkable wife. I have lost touch with him since Urmeela died and this post is urging me to try and find him again. 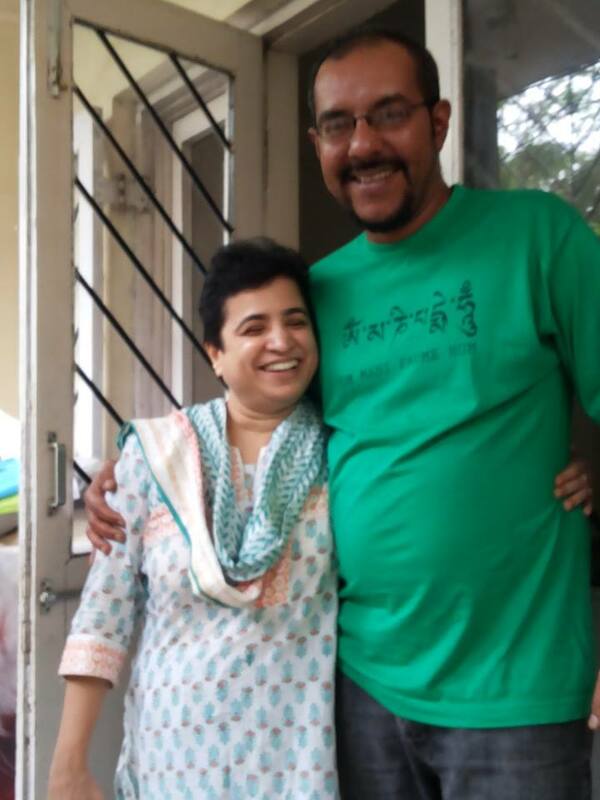 The next to come into my life is my son Ranjan’s rakhi sister Zainab who came into his life as his classmate in college in 1990 and has stayed as his much loved sister till today. In fact, they had dinner together just four days ago as she was here on a short visit from Delhi where she is Chief Executive for a digital initiative for blind people. She was born with very little eyesight, just about 10% during day time and nil in the nights, but has studied, got her Master’s Degree and has been successfully pursuing a career which includes traveling within India and overseas. You will learn a great deal about her if you go to the blog about her to which I have given a link above. The kind of obstacles that she has had to overcome to be where she is would have broken a lesser person and she is understandably quite a hero for both Ranjan and me. The third to come into my life was a grand old man Akbar, older to me by ten years but who became a very dear friend. He died three years ago due to old age related problems but before that, despite rapidly failing eyesight, he led a very active and cheerful life and made Urmeela and me a very big part of it. After two revision surgeries for my replaced hip joints I was exercising in our local park by walking with elbow crutches in both hands when I was stopped by Akbar who was coming from the opposite direction. He wanted to know what had happened to me, and a friendship was born that lasted for over a decade till he died. Due to his failing eyesight, he could not read much and would come over to get me to read for him or request me to go over to his place for the same and apart from that, for meals together at his place or ours. He was a gallant and courageous man who would not let his handicap stop him from having fun till the very last. Even today, people unaware of his death stop me to ask after him in the oddest places like movie theaters and restaurants. The fourth came into my life thanks to Zainab who is very much part of the Pune Blind Men’s Association and ran their technical school for the blind. Shakeel, is a trained masseur who has a roster of clients that will read like the who is who of Pune. I call him often to loosen up and I can vouch for his effectiveness having experienced other normal masseurs as well as very expensive spas. Shakeel too is only partially blind and can manage to move around independently but cannot read or write. He got married two years ago and Ranjan had represented me at his wedding as I was away from Pune. He is now a proud father of a baby girl and independently runs his own household and even contributes to his parents upkeep. I can stand personal guarantee to the saying that blind people develop better senses of touch and hearing to compensate for their lack of vision. These four people bear testimony to that. And I am grateful for having or having had them in my life. This topic was suggested by Lin, for the weekly Friday Loose Bloggers Consortium where currently nine of us write on the same topic every Friday. I hope that you enjoyed my contribution to that effort. The seven other bloggers who write regularly are, in alphabetical order, Ashok, gaelikaa, Lin, Maxi, Padmum, Pravin, Shackman and The Old Fossil. Do drop in on their blogs and see what their take is on this week’s topic. Since some of them may post late, or not at all this week, do give some allowance for that too! This entry was posted in Blogging, Friendship, Gratitude, People, Relationships and tagged Macular Degeneration, Masseurs, Pune Blind Men's Association, Rakhi, Reading for the blind, Sensory Compensation. Bookmark the permalink. Thank you for the inspiring stories. The idea of losing one’s eyesight is scary. I have an artist friend who is losing hers from macular degeneration. It is scary indeed. I can’t imagine ever being able to survive without my eyesight! Inspirational stories are always best when the teller has first-hand knowledge of the subject. Your affection and admiration for your friends is obvious. Yes, I had / have great admiration for these four and a few other blind people that I have come to know through Zainab. I am glad that you liked it Anita. Your praise is like Vasishta calling me Brahmarishi! You know me too well. Thank you. Great stuff Ramana. I can’t say I have a blind friend per se, but one of the board members that I’m on is blind, and she and I have great conversations when we get to sit next to each other. I’ve even had the pleasure of escorting her outside to her husband when meetings have ended here and there. Actually, this is my biggest area of concern because of my diabetes, as it affects my eyes more than anything else. It’s why I’ve been walking so much, and by doing it my eyes have improved; whew! I am glad that you are walking and that it is improving your eyesight. I will share this information with a couple of friends here with diabetes. Thank you. 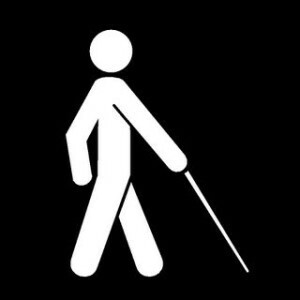 I suspect if your were visually impaired from birth you have adapted and know not the world of sight, but, if succumb to some/much loss later in life you are more hampered because you have to relearn a lot of things under a new guise. Yes, I have seen both types and how differently they cope with their handicap. You are well on the way. You will be. Don’t worry about it and just enjoy the ride. The Kalyani Nagar sage has spoken. What interesting and moving stories. All exhibit that nothing can stop us in life if we are willing to do the work necessary and have a little help from our friends. I wish that I could have put it across so succinctly and beautifully! Ah, Ramana…you write so beautifully. Don’t wish for anything but what you have. No, I shan’t. And thank you for your compliment. has a sister who is not only blind but deaf. from an illness as a baby. i cannot begin to imagine it. the dry kind… about three years ago. it at least had not progressed. your stories of these wonderful remarkable people are true inspiration for us all. I hope that the MD remains where it is without further D Tammy. My best wishes.